After I was released from prison for a white-collar crime in 2007, I decided to dedicate my life to serving people who were suffering in silence, undergoing the same kinds of incarceration-related issues that had affected my family. I set out to become one of the most knowledgeable and credentialed experts in the country. Over the next few years, I ran recovery and reentry groups at a rehab and at a men’s residential diversion facility. I earned a Master of Divinity from Union Theological Seminary in NYC with a focus in Christian Social Ethics. I was called to an inner city church in Bridgeport, CT, where I served as Assoc. Minister and Director of Prison Ministries. I was elected to serve on the Board of Directors of several prisoner reentry nonprofits. 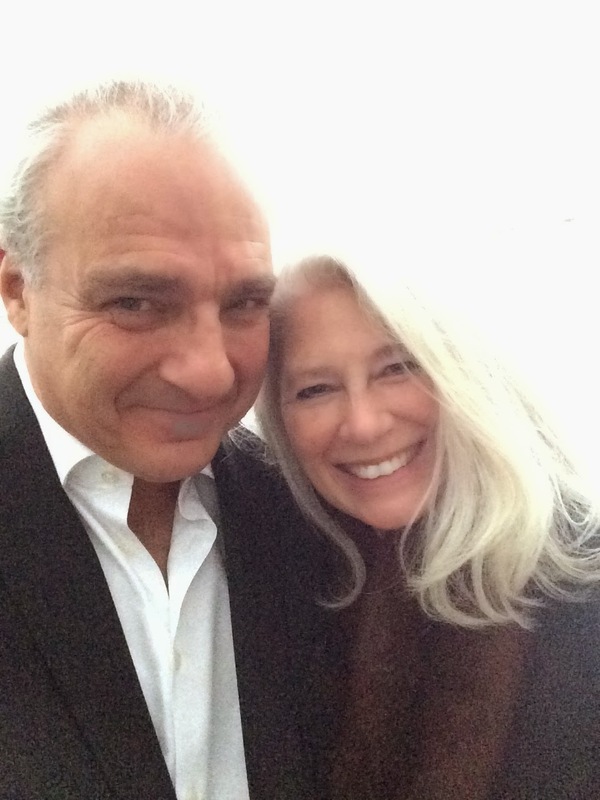 My wife Lynn Springer and I then founded, in Greenwich, CT, the first ministry in the U.S. created to support people accused or convicted of white-collar and other nonviolent crimes and their families. In the 10+ years we’ve been working with people and families before, during & upon reentry from prison, this is our simple conclusion: those engaged in a spiritual transformation do much better than those who do not. When asked the difference between a prison minister and a prison consultant, my first response is always the same… It’s about God. Or at least, it’s about your own perception of God, higher power or divinity. This is hard stuff. We were in isolation for the longest time, afraid to face the truth of our lives, what we were doing, and what we had done. Now, we have a large and growing spiritual community of people who have been through these things from whom we can all learn, grow and evolve into the person God intends us to be. We’ve dropped the rock. We are free. We shepherd people and families all the way through the process, to a new and better life and family dynamic on the other side of prison. We do direct pastoral care in person, by phone/Skype/FaceTime, by email (many Federal prisons have email), and by mail. As clergy, our communications and counseling are confidential. For this reason, we are often the first people that families call when they are ready to end their isolation and reach out for help. This is also a major reason that many attorneys allow their clients to maintain relationships with us, when they prevent communications with other, non-confidential practitioners. Speaking engagements. We have spoken at some of the most important and influential venues in the United States, including The Nantucket Project, Harriet Beecher Stowe Center (Hartford, CT), Greenwich Leadership Forum, Correctional Ministries Assoc. Conference (Wheaton College, IL), Yale Divinity School, Union Theological Seminary, prisons and community reentry programs, etc. We are a CT Religious Corporation – we have submitted our 501c3 application and are awaiting determination; if approved then all donations will be tax deductible to the extent permitted by law. We accept no fees for our services but we do accept donations commensurate with each family’s situation and ability. We also are grateful for donations from other individuals, religious groups, charities, foundations and the like – for details, please see the “Donations” box on the sidebar of prisonist.org. Please feel free to contact us if we can be of service to you, a friend or family member – we will promptly send you an information package by mail, email or via Dropbox. 15 years ago I read a passage in a book called, Graduate to Greatness: “At one time or another you will be called upon to be a friend to the friendless, a counselor to the confused, a peacemaker for the troubled, and a guide to the lost.” As I prepare to go to temple this morning, to cook a special holiday breakfast for 100 people who go to our Saturday morning prayer group, I am filled with joy. I want to thank you for giving me the opportunity to express my feelings & opinions about reentry survivors. Only blessed hands and a blessed heart do the work that you do Jeff! Thank God for you, your work and your ministry. I pray his blessings to you! Founder & Director at “East Tremont Sober Living” and “Foxhurst Sober Living”. Charles GiestingI have been doing prison ministry for about 2 years and have seen many men grow closer to God through the preaching and nurturing provided by the volunteer ministers who have shared their faith with them. Many have said that since they are where they are, they have more time than ever to reflect and read about their faith, and this has sometimes been the only true peace they have found while in prison. Still, at the two different prisons where I am at, I believe the percentage of inmates who participate in church services is still far too low. I would like to see prison administrations give incentives to inmates who agree to regularly attend and actively participate in a church service. Walter SternI like your story because you didn’t let the negativity of prison life take you down. You used your tragedy for the glory of God. You applied the Jesus Creed to help others to shed those shameful stains of federal custody. On top of everything you are a model for other inmates to use your good minds by educating yourself,and not being a con.I was a lawyer in federal custody without out my license and without pride.When my conviction was reversed ,the government has been unremitting. I am pleased that, while in custody, I helped inmates research their motions resulting in saving 15 people from illegal confinement.Now I am working on prison reform. You are a model for me. Arthur Phelps you are right–It is all about God. It’s about helping the inmate to get that inner strength to overcome the obstacles put in you way.